Hi everyone! We’ve recently moved our official website. Follow this link to keep updated about all of our publishing projects and community events: www.oooabooks.org. The new site is more streamlined, easier to navigate, and generally snazzier all around. Our WordPress site will stay online as our official blog. But the online bookstore, event calendar, photos, videos, and contact forms have all moved to the new website. Thanks for continuing to support independent radical publishing! 14 JUNE 2014, FREE AND OPEN TO THE PUBLIC! On Our Own Authority! 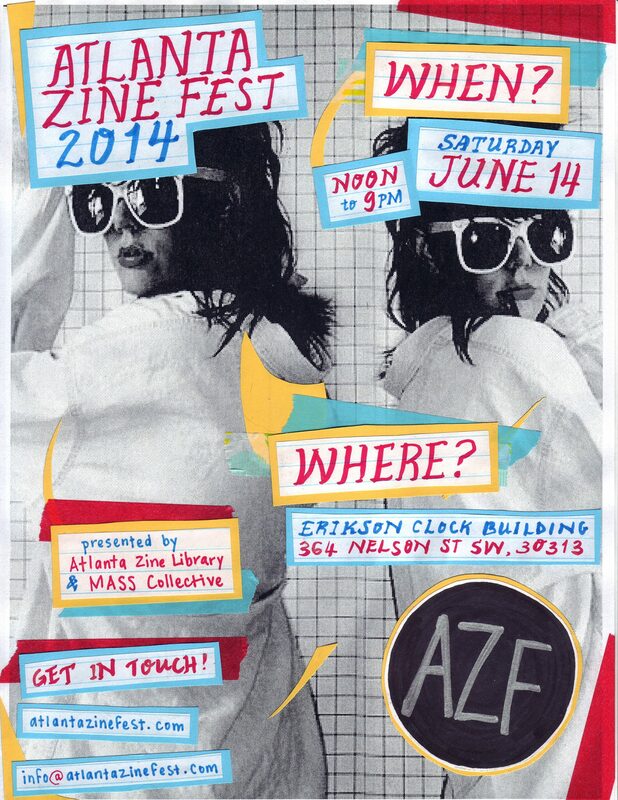 will be participating in the 2014 Atlanta Zine Fest, an annual conference celebrating DIY media, handmade media, and other independent and counter-culture publishing projects in Atlanta. As usual, our own table will feature books related to anarchism, labor history, social movement history, anti-colonialism, post-colonial studies, Pan-Africanism, and Palestine solidarity. Please be sure to stop by the Atlanta Zine Fest and say hello! OooA! Books in Radical Bookstores Near You. On the shelves in NYC, Buffalo, and Montreal! Following this year’s anarchist book fairs in NYC and Montreal, we are excited to add a few more bookstores to the list of independent booksellers carrying our books in the United States and Canada. We always encourage our readers to buy books from radical bookstores wherever possible. In doing so, you help support these important community institutions that provide much needed organizing space for radicals and revolutionaries who are committed to grassroots social change. 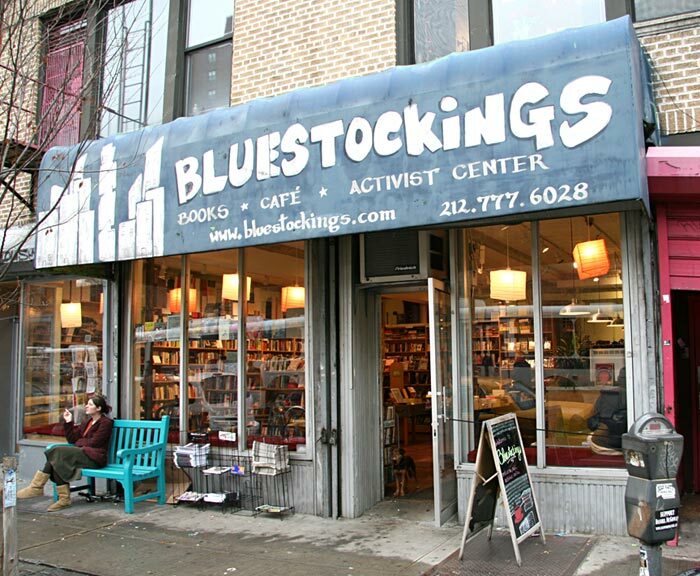 Bluestockings is a radical bookstore, fair trade cafe, and activist center in the Lower East Side of Manhattan. The bookstore carries over 6,000 titles on topics such as feminism, queer and gender studies, global capitalism, police and prisons, and black studies. They also hosts readings, workshops, performances, discussions and films almost every night. 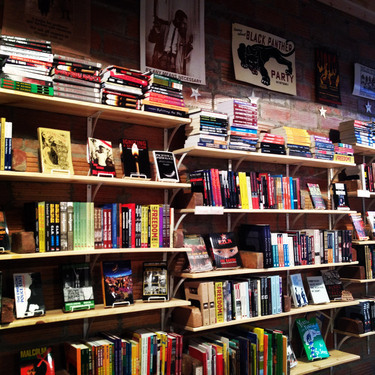 Burning Books is a radical bookstore, community center, and infoshop in Buffalo, New York. 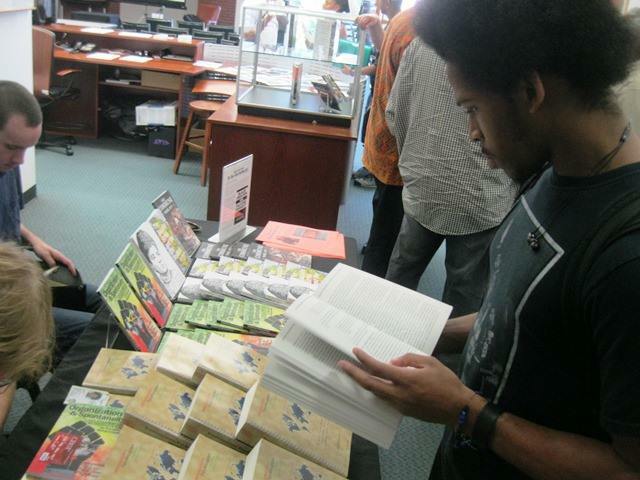 The store opened in 2011 and sells books related to historical freedom struggles, social justice movements, environmental struggles, and other movements for radical social change. In the short time that Burning Books has been open, the store has also hosted events from such notable speakers as Ward Churchill, Victoria Law, Scott Crow, Lisa Factora-Borchers, John Kane, Aaron Dixon, Richard X Clark, and Bill Ayers. 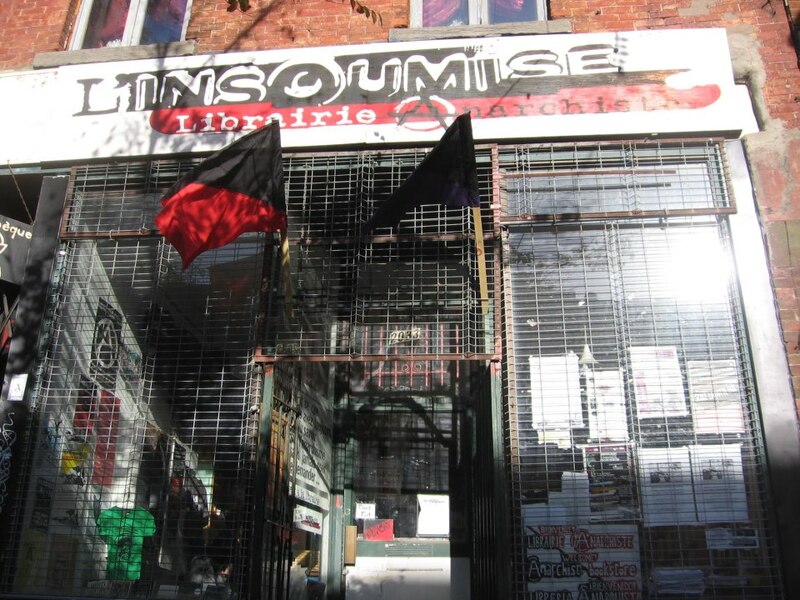 Librairie anarchiste L’Insoumise is an anarchist bookstore in Montreal, Quebec, carrying over 3,000 new and used books–in French and English–related to social movement history and anarchist politics. The store also sells a variety of CDs, DVDs, t-shirts, posters, patches, zines, and pins. It is with great pleasure that we announce that this month, On Our Own Authority! 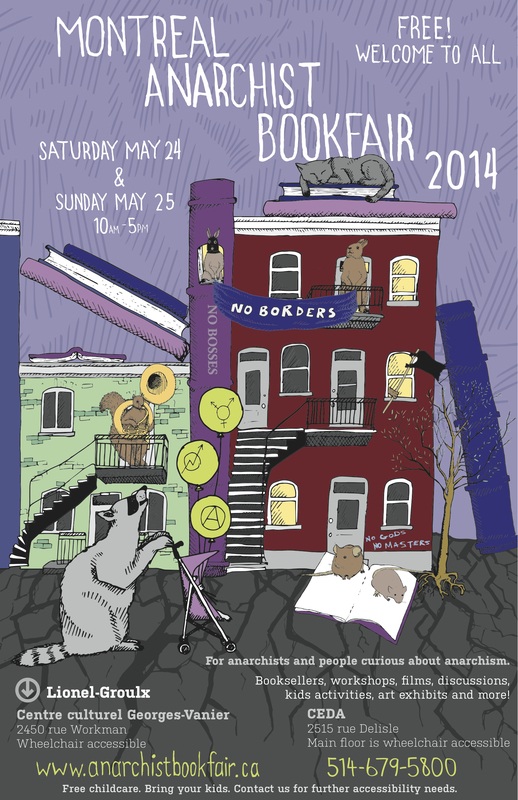 will be tabling at two book fairs in New York City and Montreal, respectively. We’re very excited about these events and we’re looking forward to meeting new friends and comrades in Montreal and New York this year! 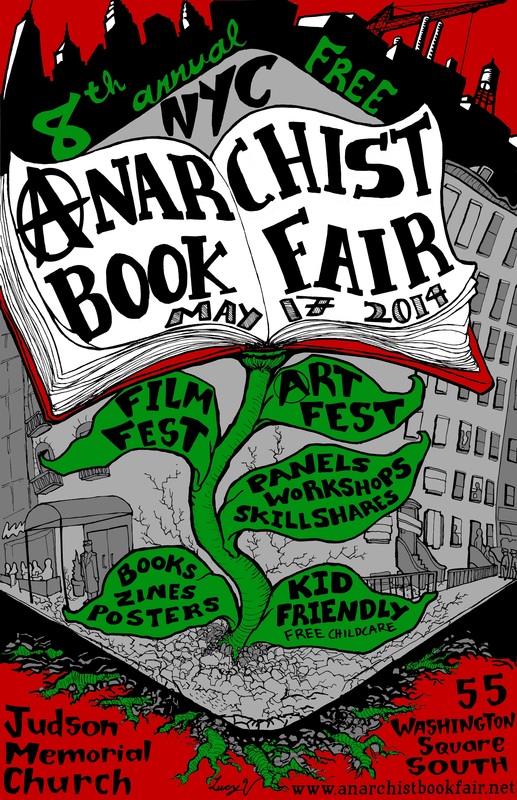 The 8th annual NYC Anarchist Book Fair will be held on Saturday, May 17, at Judson Memorial Church (55 Washington Square South) in New York City. The book fair will host “dozens of vendors and presenters from around the country.” The keynote speaker will be Ashanti Alston, the famous anarchist activist, speaker, writer, and former member of the Black Panther Party. During the weekend, there is a Anarchist Film Room (this year for two days) screening alternative films and documentaries, while the walls of the Bookfair venue are covered with the works of anti-authoritarian artists as part of Art & Anarchy. . . .
Free childcare is available at the Bookfair at the Kid Zone; kids and parents are welcome and encouraged to attend! There are also workshops and presentations throughout the weekend, in English and French. Some are intended as introductions to anarchism for those who are new to anarchy, while others explore an anarchist-themed subject in some depth. As usual, our table will feature books related to anarchism, social revolution, workers’ self-management, Black liberation, social movement history, post-colonial studies, Pan-Africanism, Palestine solidarity, and international labor history. Books will be available from such noteworthy authors as Eusi Kwayana, Ida B. Wells, Joseph Edwards, Emma Goldman, Alexander Berkman, Kimathi Mohammed, Modibo Kadalie, Sen Katayama, and Lenni Brenner, among others. Please be sure to stop by our table and say hello! See you at the book fair(s)! Follow our Facebook and Instagram profiles for more information about upcoming books and events! THE COMMUNE: PARIS, 1871 — Now Available! 143 years ago today, on 18 March 1871, enormous sections of the Parisian working class began a rebellion that shook the foundations of European society. Through this uprising, laborers seized direct control over their city, expelling their government and capitalist rulers. These revolutionary men and women declared Paris an independent municipality — a commune where they would directly and collectively manage their society through new institutions and voluntary associations of their own creation, providing for their own welfare and defense. The state, of course, had other plans — and the Commune was annihilated 71 days later in one of the deadliest campaigns in French military history, La Semaine Sanglante, “The Bloody Week,” during which over 30,000 men, women, and children were murdered for their revolutionary aspirations. Despite the brutality of its destruction, the Paris Commune uprising is remembered as a inspirational moment to radicals and revolutionaries the world over. In the near century-and-a-half that has passed since the Commune’s destruction, Anarchists and libertarian-socialists across the generations have looked to the 1871 Paris Commune, seeking to learn from its example, both its strengths and its limitations. 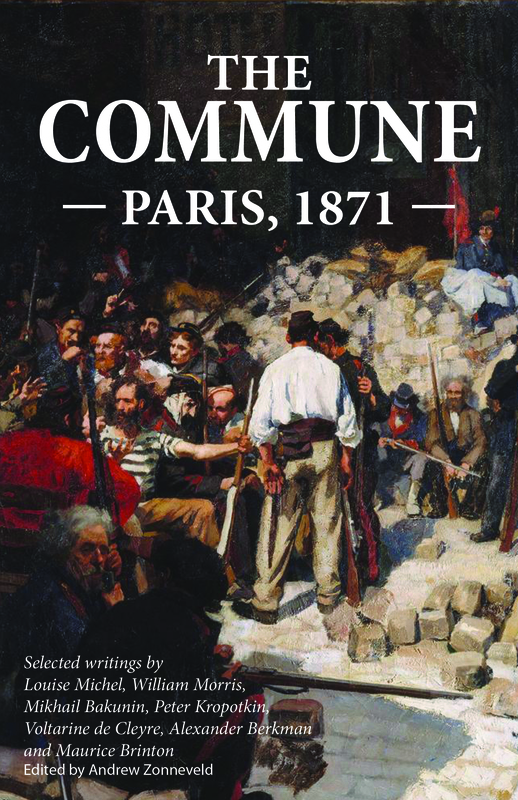 The Commune: Paris, 1871 is a new collection of classic anarchist and libertarian-socialist studies of the Paris Commune, compiled, edited, and introduced by Andrew Zonneveld. This concise volume includes critical reflections on the Commune from such radical authors as Louise Michel, William Morris, Mikhail Bakunin, Petr Kropotkin, Voltairine de Cleyre, Alexander Berkman and Maurice Brinton. This March and April: Save 25% on all our books plus free shipping! Have you been waiting for the right time to order those books you’ve been wanting to read? Wait no longer! This March and April, we are offering a 25% discount on ANY online book order! To get started, shop our complete selection of titles at our online bookstore, powered by Square. Just enter the coupon code SPRING25 at checkout to receive your discount! As always, everything you order from our online bookstore qualifies for FREE SHIPPING via USPS Media Mail (U.S. customers only), making this sale twice as valuable for some orders. Thank you for supporting independent radical publishing! Ordering your books directly from us helps to sustain these publishing projects and other forthcoming radical titles. We have a lot of exciting new books to announce in the coming months, so stay tuned! [Shop Now] — Or click the “Current Titles” tab at the top of this page.